MD Chapter – A time to catch up during busy schedules and to meet new members at the annual Holiday Dinner Party on December 12, 2008 was enjoyed by all. A delicious eight-course meal was topped off by lucky clementines. Lucie Chen, President for the past three years, passed the baton to Christina Wong Poy who was inducted as the incoming President for 2009. Hats off to Lucie for organizing the event at Far East restaurant in Rockville, MD! Pictured: New OCAW Maryland members Denise Poy and Kit Lee, President Christina Wong Poy, Immediate-past President Lucie Chen, Co-Founder Pauline W. Tsui at the OCAW Maryland Holiday Dinner. 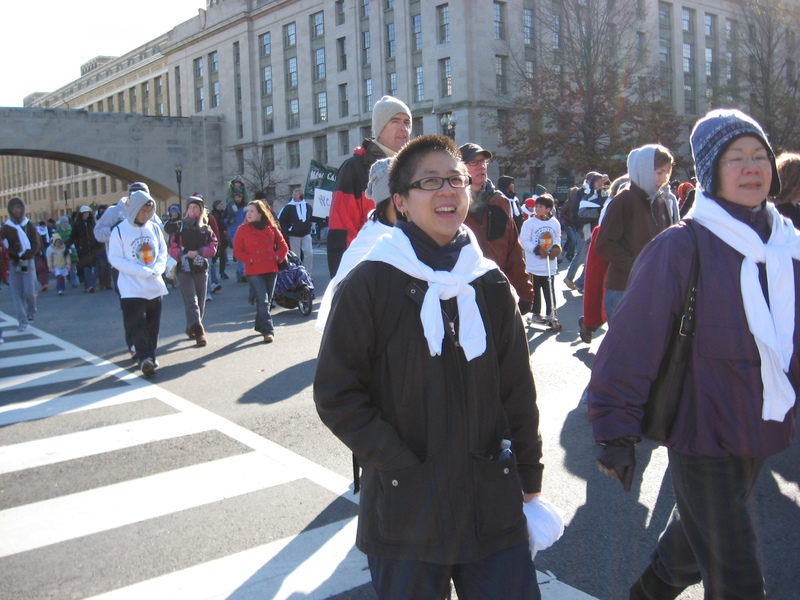 MD Chapter – Ru Fan & Christina Wong Poy gathered nine participants (+ three dogs) to walk in the Fannie Mae-sponsored Help the Homeless Walk-A-Thon in Washington, DC on November 22, 2008. Their participation contributed $450 to the cause. 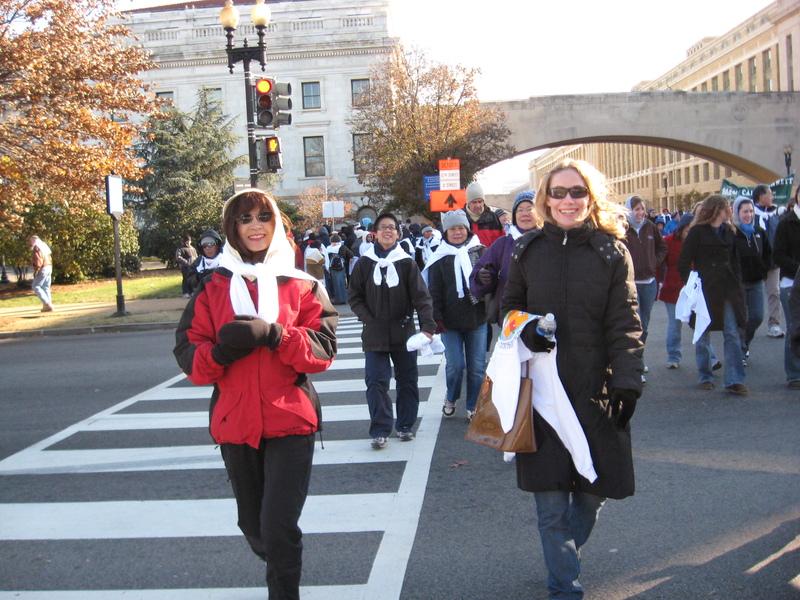 Camilla, Christina, Ruey-Min, Ru, and Rebecca walking the walk. Not pictured: Pam, Stuart, Tim, Zee, and dogs (Max, Snowball & Angel). Photos taken by P. Wong.